Ericsson's primary finding is that rather than mere experience or even raw talent, it is dedicated, slogging, generally solitary exertion — repeatedly practicing the most difficult physical tasks for an athlete, repeatedly performing new and highly intricate computations for a mathematician — that leads to first-rate performance. And it should never get easier; if it does, you are coasting, not improving. Ericsson calls this exertion "deliberate practice," by which he means the kind of practice we hate, the kind that leads to failure and hair-pulling and fist-pounding. You like the Tuesday New York Times crossword? You have to tackle the Saturday one to be really good. The challenge of deliberate practice from a coach's or teacher's perspective is the actual design and implementation, especially when the so-called leader has such a wide range of players or students in his or her classroom. Some students have no experience with the topics being taught, while others have years of mature skills. In order to take on an approach to teaching and learning that entails personalized goal setting -- individualization that actually promotes the overall team vision -- teachers and coaches need help. They need great assistants, daily practice plans, and even guidance from within the classroom via the students. In our basketball practices, which are deliberate by definition -- with organized time slots for down to the minute drills and challenging work second to second -- we provide leadership and team building opportunities for the players on a regular basis. The enjoyment comes at the end of the day, when we have worked so diligently to achieve daily goals. The process may not always seem fun for the players, but on another level, they know the physical and mental work has to be rigorous -- deliberate -- to get one step closer to the program's vision. Expertise at the highest degree, as in the elite, is something that has been nurtured through devoted training sessions, coaching, self-reflection, and hours upon hours of physical and mental effort. Yes, there may be natural aspects in brain or body type that allow the greatest to enhance potential, but those individuals still must have the appetite to eat away their days through focused and intense practice and preparation. In a sense, they immerse themselves in the activity of choice to become the absolute best. As long as a team is winning, everything is great, right? Who wants to change a system or work on player dynamics or adjust defensive assignments when the squad is rolling? But then, somehow, the team loses. Bad luck? Too cocky? Not focused? Just a bad night? Whatever the case, there may be some blaming -- especially if the unit isn't truly tight. Sometimes, negativity subtly breathes underneath winning -- and then, when the moment seems right for it to pop its head out -- whoop. There it is. The pointed finger, the belligerent, "I told you so", the "Why wasn't my number called?"... and suddenly, all of those wins don't mean too much. According to an article in the New York Times, people want to change things at the first itch of a downward spiral. This quote actually references the recent fearful outcomes of the stock market and state of the economy. People are scared, and the accompanying anxious feelings make them run -- as in the flight part of the famous fight or flight theory. Bad times straight ahead? Well then... sell. Bad night of ball? Simple answer... the offense stinks. Throw out the playbook. When the Chicago Bulls won all of those championships, programs wanted to run the Triangle Offense. Now, what do coaches at all levels want to learn? The Dribble Drive Motion -- because if Memphis can get to the NCAA final using it, then it is the best thing since sliced bread. I suppose more coaches would be knocking on Pete Carril's door for his Princeton sets -- if he lived adjacent to John Calipari's estate. The point -- when wins (and money) accumulate, it's working and it's all good. Lose? Many immediately run. If cerebral matter senses trepidation, "See ya!" Human instinct forces panic. Fortunately -- or unfortunately -- it is how one deals with that emotion that can overpower him or make him stronger. Stay in there. Believe in the team and the system. Support each other. Physical talent doesn't always get it done (remember Pippen's Portland Trail Blazers?). And, if one is mentally tough enough, fear can act as a catapult for awareness and development rather than a degenerative factor that leads to worry and breakup. In my experience, one of the most trendy items to cover in the preseason is the topic of goals. I do not know the percentage of coaches that ask their players and teams to set them, but I would venture to say goal setting is one of the strongest correlated variables in sports preparation. Some come up with goals the right way, while for others, creating realistic challenges is quite a conundrum. Sport psychology literature warrants that goal setting is a very effective performance technique, particularly when goals are specific, measurable, reachable, and process oriented. Many people, though, do not know how to lay out the laws, nor stick with them, throughout the course of a lengthy season -- even a drawn-out week. More often than not, I have worked with an athlete who attempted (or was forced) to write down his goals, submit them to his coach, and then forgot what he wrote because he never saw the list again. Or it was not reflected on or reviewed in a structured manner. Sound familiar to anyone? Goals are good. They help to motivate. They can keep one focused. They influence one's confidence -- hopefully in a good way. They may even be good for team building if discussed, criticized, and reworked among peers, coaches, or teammates. And if they are personal but can still aid the team in its overall philosophy, then being able to construct goals is a true asset -- even a talent. Muss cited Andrew Bynum's goal to get 20 and 10 each game this season. Nice, though Coach Jackson doesn't believe the 20 can happen within his system. I wonder if Phil told his young big his thoughts or if Bynum had to read about them as we did? And I wonder if the budding star explained to his coach why he thought he was going to average an astounding double-double? Did he actually plan his outcome goals with performance goals this past summer? Was there time to pre-meditate before presenting a potentially enlightening moment to his philosophical coach? Hoopscoach reports Michael Curry sacrificed free time to stay in prime shape and work on his game consistently in order to prove to himself and others that he deserved what he dreamed. I hope Bynum put in the mental and physical work, too. A player and a coach can talk the talk. But each has to write the talk (and have support provided along the way). At the very least, structure the talk that leads to the walk... otherwise, the goals are empty -- as the hoops will be without any follow through. It has been a hectic, yet exciting time for me in this unprecedented move to Pasadena. I've been constantly thinking about the basketball program and the vision -- what to do, what not to do, what to expect, what not to expect. From a psychological standpoint, a newly tapped energy is injected into an athletics team when a new staff takes over. People -- students, faculty, staff, administration -- are pumped. Questions arise everyday as university community members want to know about the upcoming season, the philosophy of the team, the outlook for the future. It's quite an experience -- especially considering I'm walking around a campus that is home to an Einstein getaway and 16 Nobel Prize Winners in science and medicine! Thanks to HoopsCoach, we know what the Boston Celtics are talking about: discipline. The Cross Over Movement brings up the question: do traditional training methods mean they have to last forever? In the Coach's Network, when is the tough approach the one to utilize? Musselman explains what 10 team are emphasizing -- everything from running to moving the ball to playing defense to creating chemistry. Ah ha -- statistical analysis -- to use or not to use? Positivity is great. Negativity not so great. Perhaps the priority is to be just plain real. It's best not to reinvest, from a mental processing point of view -- otherwise, one chokes. (see previous post on pushing fast forward on the moment). Comparisons are natural. People size up people they like, they don't like, they want to like, they want not to like...and those that are like them or not like them or they want to be like them...ugh. Critics and fans love to analyze past and present athletes with the "who is greater?" dilemma. Regardless of the motivation, I like the insight Michael Jordan provides about Kobe Bryant's development as the most complete basketball player in the world. 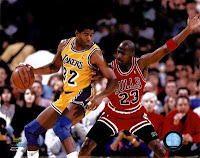 To become the best (MJ talks about his philosophy in the sidebar video ->), athletes take aspects of other people's games and apply those characteristics and skills to their own. It's an equation of observational learning, modeling, vicarious skill building, and dedicated application. Winning in the NBA more often has to do with psychological qualities than physical ones. Veteran coaches and players know that the margin of difference comes more than anything else from superior mental toughness. Quality players on great teams know how to win, how to finish a game, how to block out a hostile crowd on the road; they speak of the ability of great teams to bend the will of lesser teams to their own. If these phrases sound to the outside world like clichés, within the league they have achieved the status of gospel. In a season as long as the NBA's, where one game runs into the next, where mental fatigue is often greater than physical fatigue, what sets the great players apart is a capacity, in the dogs days of February, on the road, when their bodies ache, to see a game against a lesser opponent as being important and to bring a high level of preparedness to it. Greatness in the NBA does not just require great skill, it demands the ability to go out and play hard night after night, and the ability to inspire one's teammates to play hard as well. That was what set players such as Bird, Johnson, and Thomas apart -- not only their fierce will but its effect on the their teammates. By 1990, the Bulls and the Pistons looked about even; in fact, if anything, in terms of pure talent, the Bulls looked superior. But so far, the Pistons owned the Bulls because they managed to get inside the heads of the Chicago players. The one thing a championship-level team liked least to do was to give off any sense of vulnerability to a contender, particularly one that imagined its fortunes on the ascent. And so issues of mental toughness were critical: Were you mentally strong enough to expose the weaknesses of a rival team and emphasize to that team its own weaknesses before that team exposed your own vulnerabilities? So, wide receivers come from a different mold than other football positions. The New York Times describes the "divas" as flamboyant egomaniacs, players who have the mentality of world class sprinters who do as they wish in the open field -- and sometimes even celebrate prematurely. A friend of mine who played college football says receivers do not have to abide by the same responsibilities as the other spots on the field, that they are in a position that enables them to do their own thing more than anyone else. I guess that explains the brashness of Eagles' rookie wide-out DeSean Jackson as he "lost control" of the football just before crossing the goal line on Monday night. Was he striving for an early celebratory Usain Boltish finish? Trying to upstage Terrell Owens and his running, lean-in-over-the-line act earlier in the game? Or maybe he was just upset his name didn't make the NYT article and he wanted a little more ink? Sunday, I woke up to Randy Newman's "Back On My Feet Again" as I sat down to a delicious breakfast, and proceeded to read about the pressures that athletes face. Are we not surprised that professional ball players are actually human? That they, too, encounter everyday anxieties and feel unwanted stress on their shoulders? I suppose that society does not care; fans do not want to hear it. Why? Because the athletes are making millions of dollars, hence the "deal with it" message screaming from the public. Problem is, there is a difference between a million dollar athlete and his million dollar mind. Often, the former becomes history, overtaken by the expectations created by the latter. The result is a million dollar splatter. Once an athlete makes it to the big leagues or the professional ranks, is he not infallible? Just ask Barry Zito or Vince Young. Zito was the best pitcher in baseball, a former Cy Young winner with the curve of all curves and a free-loving lifestyle that was magnetic to friends and females. And then, coupled with the highest paying pitching contract in history, his boyish, unhittable pitching persona was gone -- along with his captivating personality. Expectations were too heavy to lift, social networks broke and friends dropped like flies. Mental caused maladjustments to the physical. Confidence became cursed. Freedom became flawed. In truth, Zito’s pitching problems are probably the result of both physical and mental problems. “He had speeded up his motion,” Righetti said, “which caused him to overstride.” Zito’s arm has been trailing his lunging body a split second too late. This causes him to lose speed off his fastball and to fling his curveball high, rather than snapping it low across the plate. He lost control of his curve, Righetti said, “and batters weren’t swinging at it. Then he stopped throwing as many curves as he used to.” Righetti said the funny thing was, when Zito threw on the sidelines in warm-up sessions, “everything was locked in. But the game speeded him up. You know, this is a tough game to be on top for years.” He meant that the greatest athletes, who have 20-year careers of peaks and valleys, have the ability to will themselves out of occasional slumps. Meanwhile, Young lost his mantra (or, followed through on it) -- one that he delivered after Donovan McNabb's controversial comments about the lofty pressure of black quarterbacks compared to their white counterparts. Young explained his belief in doing something else: if a player can't handle playing the position, then get out. Well, he suddenly did that himself, to the point of questionable return. He became so emotionally unstable, a search and rescue suicide watch was in effect. Rhoden's review recommends not therapy, as Warren Moon counts on now, but a history lesson for the most challenging position in organized sport. The pressure mounts at all levels. The good thing about the youth aspect, though, is summarized in what Todd Balf writes. When the competition is over, when the tryouts are done, the athlete returns to his true self, where he can act his age. Says Balf, a 12-year-old can cuddle up and cry when he doesn't reach his goal (as long as his parents are supportive and not obsessed with early specialization and excessive competitiveness). A 30-year-old pro, it seems, has nowhere to go...maybe music is the answer. Great quarterbacks are a special breed. One of the toughest positions to learn and play in all of sports, a quarterback has to be mentally tough enough to handle pressure from all angles, both on and off the field. Saturday's New York Times article about USC QB Mark Sanchez highlights many psychological components of performance, from his father's creative development activities to his ability to learn from mistakes. When Sanchez took batting practice as a teenager, his father quizzed him on the periodic table as each pitch was about to arrive. While gauging the speed and location of a fastball, his brain was also attempting to recall the atomic weight of magnesium. When he was younger, he dribbled a basketball while wearing glasses that blocked his view of the ball — all the while facing rapid-fire questions on multiplication tables. And when he dropped back to pass a football, working on his touch by lobbing the ball over a goal post, he had to know who the 13th president was. Answer: Millard Fillmore. This focus on leadership comes easily for Nick Sanchez. A former Army sergeant, he is a captain in the Orange County Fire Authority and a member of the national urban search and rescue team. The search-and-rescue duty took him to New Orleans after Katrina, to New York after the Sept. 11 attacks and to Oklahoma City after the bombing of the federal building. His arm may be strong — he threw a ball 60 yards to Ronald Johnson in a season-opening win over Virginia — but it is matched by his personality. Sanchez plays with a let-it-all-hang-out vibe, always eager to look for a big play. During the week, he bounds around the practice field, pumping up teammates or peppering coaches with questions. His teammates have dubbed him the Mexican Jumping Bean. Each week, “Cerebral Matter” highlights articles, anecdotes, and analyses related to the psychological aspects of performance. As much as last season tested him, Stokes said he never grew discouraged. He returned home to California and spent some of the off-season performing exercises to improve his mental toughness. Self-handicapping is essentially excuse-making, but that which occurs before a performance begins. By conjuring these barriers to success, we attempt to establish a no-lose situation. After all, how can someone expect you to succeed with all of those obstacles in your way? And if you should succeed, then how amazing is it that you overcame so much adversity? 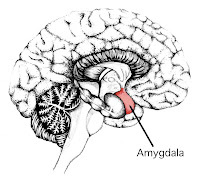 The overwhelmingly positive nature of these findings brings to question the connection between music, memory, and emotion and what the relationship ultimately means. For example, music and positive feelings have been linked with the increase in dopamine, a hormone and neurotransmitter that is associated with the pleasure system in the brain. 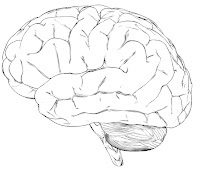 And as Morrison explains, musical prompts may help not so much in storage, but in memory retrieval, perhaps acting as aids for recall when memory fails us as we age. How is your cognitive closure? The amount of time that someone spends making a choice affects what kind of information that they use to make that choice. Research on these individual differences suggests that people who try to make decisions quickly use easily available aspects of the environment to make a choice. Imagine for example, an advertisement that shows Tiger Woods advertising a watch. The ad might also have information about the watch that tells you something about its function. Someone low in Need for Cognition will be swayed by the celebrity endorsement. Someone high in Need for Cognition will pay more attention to the qualities of the watch. Are you brave or afraid, or both? My point isn't that the fear-mongers have nothing to fear. Maybe they do; maybe they don't. Rather it's that there's something weirdly dogmatic about the simple assertion that because they're anxious they're brave. They want this association to stand without regard to the fear-worthiness of any specific thing they say they fear. Perceptions are crucial. In sports, how a team interprets its program or an opponent is often the best motivator -- and the forethought may even be a predictor of success. If athletes feel that their program is cared for, and that the established environment has been enriched, then they will want to hold down their end of the bargain -- whether it is an agreement in writing or not. Some coaches have their players sign contracts in the beginning of a season, outlining the athletes' promises to put in substantial effort throughout the season. Others, like Coach K and his Redeem Team staff, leave coaching messages for the players (e.g. "We're 0-0" or "Play like a champion"), perhaps on the bus seats or in the locker room. And, it could be the latter that is the most important setting. The locker room is like a baby's crib, even the womb, where players spend much time -- in play and preparation. Simply put, as Musselman suggests, it needs to become an atmosphere of development, just as the playing surface is one of learning and hard work. If the "preparation" room looks and feels good, the team is more likely to take care of its quarters. And if the pad is treated well, it will breed an aura of seriousness and sound teamwork. A nice place is much harder to mess up. The broken-window hypothesis was the inspiration for the cleanup of the subway system conducted by the New York City Transit Authority in the late eighties and early nineties. Why was the Transit Authority so intent on removing graffiti from every car and cracking down on the people who leaped over turnstiles without paying? Because those two "trivial" problems were thought to be tipping points-broken windows-that invited far more serious crimes. In a way, a team is influenced not only by the coaching staff, practice drills, and opponent, but by its environment. Mind your digs, ya' dig? Injuries are a part of sports, just as bad calls and heckling fans. Unfortunately for the New England Patriots, Tom Brady's injury is devastating - at least, at first glance. Often times, an injury to one player leaves an opportunity for another to step in and step up. It could be predicted that the team's system will take over without the new age star, with supermodel and real estate investments soothing his side - after all, the aforementioned program is the basic mantra of the Pats anyway. Brady thrives in Belichick's system because he has the work ethic, leadership ability, and talent to enhance the framework. And he had his chance after Drew Bledsoe went down. Maybe Matt Cassel's strengths as a two sport athlete and former Earthquake Kid will help. 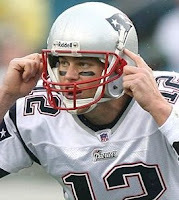 As for Brady and his upcoming psychological challenges, the recovery process will be dependent on his mental game. Perhaps his tough mindset will aid him in a quicker recovery from a physical standpoint, as his motivation to get healthy and stick to the rehab plan will become priorities. Research has shown that a positive frame of mind and the ability to imagine oneself healing do indeed speed recovery. Athletes who are able to modify their outlook by interpreting events in an effective manner are more likely to come back mentally strong. Feedback from video that instantly reminds a player of what she could do pre-injury is a technique that needs to be utilized...and replaying the situations over and over again with a desired outcome via mental imagery is also helpful. The mental aspect of becoming completely comfortable on the field again will be Brady's highest hurdle. Athletes often run the risk of re-injury because they overcompensate muscles during movements or continue to visualize a similar occurrence of the pain and suffering. The ability to convince oneself that he can compete again is a barrier with which many an athlete struggles, as "...the psychology of being banged up is very different than that of recovering from surgery." The mind does not always know when the body is actually healed; thus, one's thoughts may construct images that relate to the original incident. Maladaptive cognitions can increase anxiety and fear and, of course, wipe away any confidence the athlete may have. Allen Wilson, the coach at Carter High, says the year off was a blessing for Crabtree, giving him time to learn the nuances of playing receiver. Better still, it fueled him, adding to the hunger that Wilson believes makes the receiver special: "Not getting to play that year was the best thing that could have happened to him." Not that Brady needs any time off, of course. The Crossover Movement recently reviewed research by the United States Olympic Committee that centered around coaching. Interestingly, sport psychology was found to be the fourth most important area in "understanding body of knowledge", preceded by skills, strategies, and teaching. Meanwhile, twenty insights signify coaches' emphasis on topics in sport psychology (see below, with corresponding sport psych topics in blue). It seems, despite what coaches are trained in, or what the results show as most important, the mental game and the psychology of performance are underestimated -- yet highly significant, thus highlighted throughout. Perhaps, at the very least, sport psychology needs to be considered a major component of the "skill" category. Many times, players complain about "no calls" in practice. They say out of frustration, "In a game, that's a foul!" -- in an attempt to remind coaches to call fouls during drills or scrimmages. However, in a real game, players may not be able to finish because they aren't used to getting hacked -- or they aren't mentally tough enough to get through the hammering. Or, it's just plain immoral to let the fouling go. Playing underneath is tough, no question about it. You have to be willing to get fouled and take a beating. I prepare myself for this in the summer by playing with friends, working especially on my moves under the basket. We'll often play half-court for four or five baskets, and allow grabbing and holding when a player goes to the basket. Other times we'll decide to play the entire game without calling fouls. By playing like this, I'm able to concentrate on making my offensive move and following through with my shot even though I'm being pushed and shoved while I'm doing it. It often gets like that or even rougher when you play underneath in the NBA. The battle for the IndyCar championship is won on the course, but Helio Castroneves is trying to influence the outcome off the track. Castroneves, who enters Sunday's Detroit Indy Grand Prix on Belle Isle 43 points behind driver points-leader Scott Dixon, has refined his strategy to include mind games with the New Zealander. "I'm trying to do everything I can," said Castroneves, who will start on the front row with Dixon after turning in the second-fastest qualifying lap Saturday of 102.412 mph. "We're trying to get into his head." Sarah Palin is prepared to deal with pressure. After all, she was a sportscaster and still is a competitor. Music is great to listen to on many levels. It can change a person's mood instantly – one of the reason athletes use it to mentally prepare for competition. But, did you know listening to those tunes can actually help one heal? But you’re not nuts, right, Alfredo? “But I’m not nuts,” Aceves said, laughing. Is your favorite coach really that valuable? Can Nadal keep up his torrid mental pace? …Despite flying from the United States to Beijing and back in the last two weeks, Nadal said jet lag was not as much a problem as mental fatigue from a grueling season. Is an addiction to crossword puzzles healthy? What is happening in your mind gym? Djokovic obviously had his feelings hurt and, even during the match, let out the emotion with loud, low screams – from his mouth and from his racket. Djokovic held off the city favorite on his favorite court, in what appeared to be Roddick’s best overall effort in a while (Roddick has had nagging injuries himself but looked confident and performed impressively in this year’s U.S. Open). 16 injuries? Djokovic couldn’t let it go even though he himself is not always the most courteous. How many times has he mocked other players with his impersonations of them on the court? He is half-joking then, too, right? Roddick understood what he proclaimed in the press conference. He is a competitor and a past champion in the Open. He doesn’t want to hear excuses – athletes who mention their injuries, even minor, are looking for an out, just in case they don’t perform well. Plus, in Djokovic’s case, he has previously been blamed for taking too much time between games in order to take care of his body – and possibly the opponent’s mind. Congrats to Djokovic. He held off the Roddick run, the NY fans, and the supposed injuries. However, a typical tennis thank you to the fans was in order. Praise them anyway. In the future, it will take more of an effort to change the impressionable minds of the spectators. Djokovic should think about the transformation of his image back to the butterfly that people thought we was when he came onto the tennis scene, as a composed, engaging challenger to the top seeds. ...The Presidential Race in a hypothetical 2-on-2. Basketball Bio: Obama is a straight up baller. His jersey number causes one to recall images of another famous Chicago hoopster. He has been known to play pick-up just about anywhere: Brown U., UNC, with the military, and against Stuart Scott on SportsCenter. What to Watch for: athletic ability…uses wiry body well…has a knack for slashing…wants to drive hard…prefers going to the left, but can finish to his right…solid mid-range game with hanging lefty pull-ups…very active off the ball…must box him out…will look to get teammate involved…known to have some perimeter touch…may reach and look for steals on D.
Basketball Bio: Not very experienced in hoops, but has a natural capacity to learn without extra substances. (In fact, he helped pass a bill outlawing androstenedione used for performance enhancement). What to Watch for: team player…he’ll do the dirty work…strong on the boards…will try to convert some lay-ups. 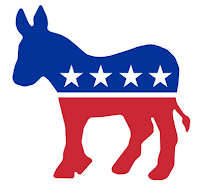 The game plan: The Donkeys will look to utilize the pick-and-roll some of the time, but they will most likely go to a 1 out-1 in set, that puts the ball in Obama’s hands. He’ll look to create off the dribble while Biden establishes position down low. At times, look for the give-and-go with hi-low action. Basketball Bio: No history, but his toughness and experience as a Navy captain and prisoner of war make up for lack of skills. Plus, he has a history in filling out brackets. What to Watch for: Won’t move that quickly…slow lateral movement…will try to set-up his teammate, but will mostly stay in the paint…tires quickly…attempts to hit the boards...not much of a shot…experience with physical therapy may come in handy. Basketball Bio: Experienced player who was very rugged and resilient in high school. She was nicknamed “Sarah Barracuda” because of her intensity and passion on the court. Understands the game of basketball and other sports (she is a former sportscaster). Known for hitting game winning free throw in state championship game with a stress fracture. What to Watch for: clutch player and wants to take the winning shot…very strong and aggressive…she is the go-to…good handles…can hit the mid-range shot…wants to come off of picks. Offensively, the Donkeys shouldn’t have any trouble scoring, especially if they share the ball. Obama’s knowledge of the game and understanding of his team’s strengths and limitations will help them succeed. He’ll look to involve Biden, but Obama’s activity all over the court will prove to be his team's key. With Obama's first step and Biden’s positioning, they have the capacity to jump out to an early and insurmountable lead. Defensively, the Donkeys may try to trap the Elephant pick-and-rolls early in order to minimize any good looks at the basket. If McCain can get open, Barracuda may just have enough in her to dump it down for a couple shot opportunities. Time-outs will be critical. Interestingly, Obama will be guarding Barracuda for much of the game, rather than facing his direct running foe -- but this is a team game. Remember, it wasn’t Michael versus Magic in 1991. Rather, MJ’s running mate, Scottie Pippen, was the one assigned to Johnson. Biden should be able to wear down McCain quickly, so Barracuda will have to keep her spirits high and her defensive stance low and long. If Barracuda can keep Obama in front of her when he has the ball, and work some clock on offense, her team will have more of a chance. 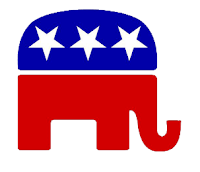 And if she somehow can get open and nail a couple of shots, the Elephants may gain some confidence and momentum. Look for Joe Lieberman to provide a special half-time analysis on both teams. The recent SLAM post on Steve Nash and Musselman's reminder about great point guards caused me to recall an unforgettable performance. 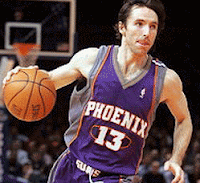 I happened to be at the playoff game in 2005 when Steve Nash put on a dazzling display, willing his Phoenix Suns to an overtime thriller against the Mavericks in Dallas. He was one rebound shy of a triple-double and dropped 39 points on his old team. He also dished out a dozen dimes and drilled five 3-pointers (see official box score). What was, and is, most impressive about the former league M.V.P. is his mental and physical conditioning. He consistently plays at an exciting pace, from a fan's perspective and a teammate's point of view. His capacity to perform at Nashspeed, both on the court and in his mind, is what makes him special. He can anticipate action as good as anyone -- and better than most -- and possesses uncanny instincts, characteristics that allow him to create and finish plays with impeccable timing and draw-dropping reactions. At Santa Clara University, Nash studied sociology, which - at first - was a way to avoid classes he thought he would dislike. However, Nash says he grew to enjoy his studies because the subject fueled his interests in psychology and people. "I thought sociology was very educational, if not practical in a career sense." Nash spent many hours perfecting his talent. He videotaped college and NBA basketball games so he could "watch the players' moves over and over, and then try to do them myself." Nash thinks the visualization techniques and mental agility so useful in sports will soon be more recognized as crucial skills for all aspects of life. Nash's conditioning gives him an advantage, but more importantly, supplies him with steadfast confidence. In the past, he has not had to worry about staying in shape because he works on his fitness levels year-round. His love for soccer helps him maintain his form and his understanding of how to develop has helped him get to the top. Perhaps even more impressive is his ability to communicate and speak about his mindset. The 2007 Charlie Rose interview demonstrates Nash's excellence, as an athlete and an analyst. Andy Roddick's recent racket hurls at the U.S. Open beckon the question: release the rage or hold it in? The exploration involves both moral and psychological issues. For Roddick, his moments of mayhem have helped him defeat his opponent. As a model of composure, he has been as unsure as the the levees in New Orleans. Andy Roddick smashed his racket not once but twice, leaving it a mangled mess that matched the state of his game at that point. Facing a big deficit, staring at what would have been a big upset, Roddick suddenly changed everything against a younger, less-experienced, less-accomplished version of himself at the U.S. Open. Then he proceeded to fault, I suppose a very unsatisfactory one in his mind. With that miss, in a shocking show of frustration, he grabbed another ball and took an controlled, yet uncontrolled, swing and blasted the ball over the MIT dorm that overlooked the tennis courts. He smacked the ball as if the target was the Harvard boat house that sits on the Charles River. And then, as if he had released every ounce of energy that evoked tantrum times as a toddler, he was calm again. He drove the next serve right by his partner for an ace. The incident made me think about the frustration-aggression theory, in that once provoked, an emotion can build to the point of such aggravation that it can drive an athlete to change his persona, if only for a brief bit. However, in that 60 seconds, a violent phase can ensue and cause even the tamest human to display anger, by the whack of a ball with brutalizing force or the hammering of a racket into the ground…a matter that toys with one’s mental toughness and a situation that beckons one to "shape up or ship out". Federer used to love that kind of show but is now campaigning to stamp the practice out. He said: "For kids watching, I want them to have a proper example. I enjoyed watching Goran, McEnroe and those guys throwing racquets. I thought it was funny. But at the same time, I don't think a tennis player needs to act this way. "I think there are different ways and I hope that kids get inspired by this more than throwing racquets. But then again, I think it's okay, too, to throw a racquet here and there. It's not a problem." I was very emotional. I was never the angry person, more the sad and disappointed person. I would cry a lot after losing matches; I would throw my racket in disappointment. It was very hard for me to accept missing three, four points in a row. The first one I could sort of accept. The second one would be like, well, now you better not miss the next one, but if I did, then the racket went flying. I'd have to scream or something, because it just wasn't acceptable. But as time went by, I started to relax. You get on center courts around the world, people are watching, and you're like, "Well, now I can't throw my racket," because it's embarrassing. Today I'm much more in control of myself, whereas before it was a weak point of my tennis. People would say, "If you can get to him mentally, you've got it." And now it's become a strong point in my game. It was never easy for me. Because people were constantly saying I was talented and that I was going to make it, I always had that burden. It was like, if I make it, then I'm only doing what's expected of me, and if I don't, then I'm a disaster because I missed on a great career or wasted my talent. I also had a hard time working out. I would ask, "Why do I have to do this? I'll just be tired tomorrow." But I think by asking a lot of questions, I was able to learn. And then over the years, through hard work, my game started to become really fluid. I never really thought it was that way naturally, because I always felt I had to make a great effort. My technique was always sort of nice, but I was shanking a lot of balls, and I really had a tough time keeping the ball in the court. But by getting stronger mentally and physically, my game started to evolve, and all of a sudden I found myself where I am right now, dominating the game. Now, just a year before the interview with Billie Jean King, Federer faced a youthful Rafael Nadal and the former showed off his heaving ability (yes, you can see the ordinarily centered Roger unravel in the video below). Normally known for his serene presence on court, Federer did not turn the match in his favor until he became angry. At the end of the ninth game of the third set, after missing a break-point opportunity, Federer uncharacteristically slammed his racket to the ground. "I was really angry, so I threw it out," Federer said. "I was very disappointed. I was missing one opportunity after the other. I really felt like I'm climbing uphill all the time, and I had an opportunity and I missed it again, and I just had enough. "Who knows, maybe it did me good, and I kind of woke up." Nadal, ranked No. 31 in the world, felt that he was getting under Federer's skin. "It's surprising to see Federer throw his racket, but it makes you think you're closer to victory because he's frustrated," said Nadal, who plays left-handed but does everything else right-handed. I’ve broken a few rackets over my career, but only very few intentionally. It mostly happened out of anger and not because I wanted to break it, which I think is a big difference. When I throw it I try not to break it. Rackets are expensive, after all – somehow that always crossed my mind before it left my hand! Considering these examples, it is safe to assume that more rackets will be committed to the air and the ground. Amateurs, however, need to consider the consequences, perhaps from a "Don't try this at home" perspective. Roddick and Federer have managed to use aggression releases to their advantages, though a perfect, positive correlation between racket tossing and winning is doubtful. The pros have demonstrated their resiliency, their capacity to quickly recover from a negative thought and its resulting behavior. By no means, though, do they advocate for their volatile actions. Competitiveness can get the best of them, at least for a few seconds. It seems best to continue on the track of regulated intensity without obtrusive eruption. Unless, of course, society alters its views and racket throwing becomes categorized as some sort of art form. Michael Phelps' latest victory did not result in a gold medal, but it did demonstrate the main reason for his eight Olympic wins. He smashed the competition on this site's latest poll, claiming just under 60 percent of the total, or 92 of the 157 votes. 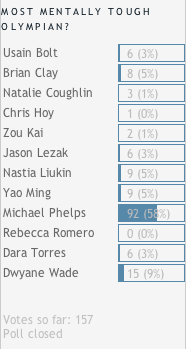 D-Wade finished in a far away second with 15 percent of the count, while Nastia and Yao tied for third. Every athlete tallied one vote except the two-sport star Rebecca Romero. It is safe to assume that Phelps does indeed possess that tough of a mind, although the prediction did not entail this much of a massacre. 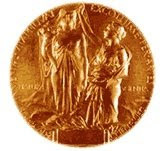 The votes come from people around the world, so it is interesting to note that humans everywhere are equally impressed with the swimmer's mental game and accomplishments. (It would have been insightful to have been able to read a reason for each selection). The outcome may have something to do with his popularity and the number of times we were able to watch him race, hear him talk, and read about his training (psychologically, the more we witness or vicariously spend time with a person, we come to think that we know the individual -- even if we never meet him -- hence, the obsessed sports fanatic). As discussed previously, it is very difficult to measure greatness, especially remarkable endeavors across various sports. Phelps' mental ability to maintain his level of perfection throughout competition is unquestionably the reason he was the most favored answer of the proposed question. 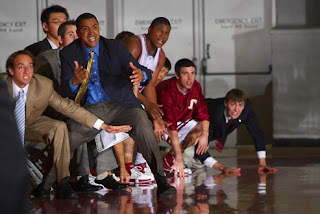 Coaches often teach and preach specific systems on offense and defense, along with other values. Systems are important for the development of players, teams, programs, and franchises. In basketball, with a thoroughly planned structure and an understanding of spacing, screening, interaction, and scoring spots, five people become one on the floor. More significantly, every member of the team, including the coaches, becomes unified. When there is ultimate belief in the system from the top, a trickle-down effect occurs that results in a long term team investment. Coach K did not always run a 4-out spread offense in the ½ court like the one of his recent Duke teams and the 2008 USA Team. 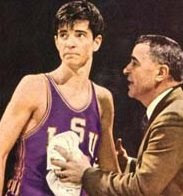 He used to teach a motion offense with different looks and varied screening action. He has adjusted his sets to highlight drive and kick opportunities, three-pointers, and isolations on the block. Coach Calipari has not always utilized the Dribble Drive Motion (DDM); he ran something completely different when he was at UMass. Good players can adjust to any system. It’s not necessarily the offense and the plays that are, or are not, effective. It comes down to how personnel are used and how the system is taught. Utah’s Jerry Sloan believes in his system and wants players on his team who fit its style. Many teams do not have the benefit of breakdown players like Lebron James or Derrick Rose, so those squads have to maximize the skills of the individuals they do have. Players have to understand their roles just as coaches need to realize how the pieces fit together. In a sense, described here is a taste of Gestalt, the psychological theory that proposes the whole is greater than the sum of its parts. 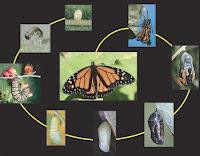 Fittingly, a system is a set of parts that work together to form a complex mechanism. The whole, or the mechanism, is actually made up of myriad components: the vision for the program, communication, social dynamics, player and staff roles, skill development…the list goes on and on. But the system truly works when the players wholeheartedly believe in it, or at least, believe they believe in it (a later discussion). While (Candace) Parker admits to some physical and mental fatigue, she is attempting to use these Olympics to do more than help the United States win its fourth consecutive gold medal in women’s basketball. The Twins demoted (Francisco Liriano) after Oakland pounded him for six runs and five hits in two-thirds of an inning in an 11-2 drubbing. So when Liriano’s mechanics appeared out of whack last Wednesday, Redmond said he suspected why. Their coach has been known to sing to them — Bob Dylan, no less — and ask them questions, to shake up their thinking. And sometimes she drops her Socratic ways and tells them to control the ball better. “There is a huge amount of social and psychological forces keeping people from quitting,” Ori Brafman said. He gave an example of an experiment by a Harvard professor who auctioned off a $20 bill. The catch was that while the winner got the $20, the bidder who came in second had to pay the amount of his bid, but got nothing in return. The experiment was done repeatedly with a variety of participants, and most bidders dropped out at about $12, usually leaving two to fight it out, Mr. Brafman said. “They didn’t want to be a sucker, paying $12 for nothing,” he said. The record? A bid of $204 for a $20 bill. What happens when you’re ranked No. 188, playing the world No. 1 in the U.S. Open, on a court that has more fans than the one you prefer to play on, in a match you don’t believe you can prevail in? Well, if you’re Julie Coin, you win. And that is impressive considering the circumstances. How many times does an athlete actually admit that she wasn't expecting to win? Or answer honestly with a gasp of disbelief? Who has the capacity to even fight from the underground up, especially when starting a competition with a monotonous mindset? The qualifier from France played each point with focus and energy and found herself with a 6-3 first set win. She lost the second set 4-6, but maintained her forehand, serve, head game and rhythm. Then she blasted a couple of aces in the final set before holding on to triumph, 6-3. It was a classic case of the best player crumbling and the extreme underdog reaching within, gaining confidence, and staying patient. Earlier, I wrote about "The Psychological Weight of a Nation" and the intense strategies China uses to become competitive. Now that the Olympics are complete, do there exist post-game resources for competitors? Are measures being implemented to support the athletes who trained for years, even their entire lives, for the spectacle in Beijing? I particularly wonder about the athletes who "failed" in their country's opinion. When one works so hard, especially because of external pressures, and then does not succeed, he or she is bound to internalize and even exaggerate or distort the thoughts and feelings that accompany the outcome. Every comment or emotion can become magnified, and if there is not a support system in place, the result may be detrimental to one's psyche. Have you ever experienced so much stimulation from an event that you find yourself "crashing" after it ended? Yao seems to be in a similar situation, only multiplied by numbers beyond most of our conceptions. Only his peers can relate. He was molded and groomed for his sport, the most monumental of unwritten promises to his homeland. And now the air is deflated from the once tireless tires, despair drifting through the consummate model of strength and courage. Yao assimilated the words and dreams of a billion and now has to digest and deal with the consequences. Is it conceivable that all of the counselors, psychologists, and trainers who were hired to prepare the athletes for competition are now concentrated on the "cool down" segment? Are professional helpers working with individuals who struggled in the arenas and on the fields so they don't struggle for the rest of their lives? For many who did not succeed as they hoped, including Yao, it's time to resurrect the foundation and harness the resiliency that is ever so important in not only athletics, but life. Nobody wants to see a drooping giant. Especially in Houston. There have been a substantial number of visits to this site since the post on USA player productivity, a summary of statistics derived from the Performance and Productivity rating (PaP). Here, we compare results from some of the more popular formulas known to calculate an estimate of productivity, whether the analysis is referred to as NBA Efficiency, Win Score, Game Score, Credit, PaP, or WARP. I even threw in an experimental "colleague" stat. As one can guess from box scores and observations, Wade and James are always at the top. Bosh follows them in third, except in the new PaP, a stat that accounts more than the old for the ability to score. Here, we find Kobe in the top three. The big man from the Raptors was certainly an important power in the team's run for the gold and these stats do not account for the number of screens he set, how hard he ran the floor, or how he squatted into his stance to defend guards. Chris Paul is consistently in the top five and, by far, the most influential point guard. From there, it’s the steady Carmelo Anthony and Dwight Howard rounding out the top six. By no means are these statistics a substitute for the ability to play basketball within a system, nor do they define strategy, leadership, chemistry, or other intangibles -- but they are interesting to examine. For an even more in depth analysis of Team USA that uses +/-, explore APBRmetrics. The recent news about Shaquille O'Neal, the self-proclaimed, “Eighth Wonder of the World”, makes me marvel. I suppose the giant does not know what to do with himself in the off-season. He was certainly absent on the tour when the Dreamy Redeem Team went to one of the genuine great wonders. Stalking a young woman? Free-styling about a former teammate? While Kobe Bryant was in Beijing changing his image, making new friends and fans, and earning a gold medal, O’Neal was busy getting into trouble -- or, letting past trouble find him. Participation in sports helps keeps kids off the streets. In some cases, evidently, being involved in athletics also serves adults. Kobe’s passion for basketball has allowed him to develop as a human being, a distinguished athlete who we have witnessed transform from an immature phenom, to a controversial selfish player and questionably disloyal husband, to one of this year’s most fascinating and respected ballers. Shaq, on the other side of the world, has crumbled into an ancient mound of mouthy morsels, an artifact that undoubtedly takes up space and is past its prime. Forget the Jordan comparisons, as Kobe so bluntly put during an interview with Stephen A. Smith during the NBA Playoffs (see video). Bryant is his own being now. He does everything he can to smile, stay healthy, and improve. Kobe has always been focused on basketball. Shaq desired other elements related to stardom, and for that reason, did not improve to the point where he truly can be called the amazing nickname he once gave himself. Could it be that Kobe has assumed a Darth Vaderish role? From good and young at heart, to evil, and back to good for the rest of his career? Whatever the case, people will remember the images of Kobe in the Olympics, playing hard, cheering on fellow Americans, and complimenting his teammates and coaching staff. These are scenes and behaviors that serve youth well. Stories of helicopter parents, adults who preach winning to 9-year-olds, leagues that ban spectators, and an emphasis on interscholastic games over school exams are more and more prevalent. Too many adults want their kids to be the next Kobe… or Tiger, Nastia, Nadal, or Phelps. These Games demonstrated the two-way street of athletic development. Stars shining for other stars. Coaches demanding and supporting their athletes. Athletes striving for perfection with marked adulation for their trainers. Community building was at its finest. World-class athletes were sent back in time, to a place where they were young and dreamy and wide-eyed and excited to be next. There was, as there will always be, an urgency to win and increase medal count, but the examples of teamwork, dedication, support, and sportsmanship were both magnificent and educational -- even for the best athletes in the game.